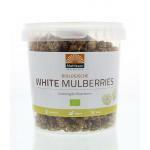 Natural White and Black mulberry. 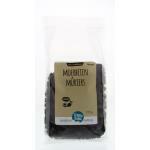 Mulberry is a product rich in good nutrients and is considered a superfood. 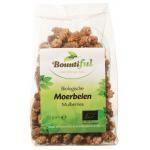 It has a very nice flavor and is quite popular these days. 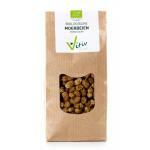 It contains important vitamins and minerals and so is a good additonal to a daily diet. 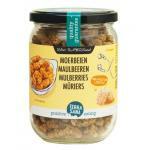 Mulberries are small dried berries and are free from sodium. 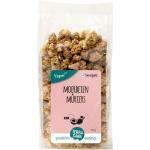 Mulberry can be used as a healthy snack but also has many other applications. Choose between white and black and profit from our low prices. 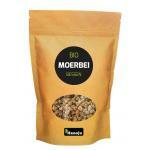 We also have many other natural foods in store to make your favorate healthy dish. 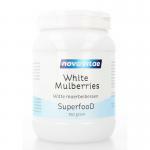 Many people also buy our natural supplements with are a good addition to eating superfoods.